Gail Armstrong shared an emotional post on Facebook about how she was forced to kill an injured bat that had been savaged by a feline. A 'bat lady' has sparked an online row after telling cat owners they should keep their moggies INDOORS - because they kill wildlife. 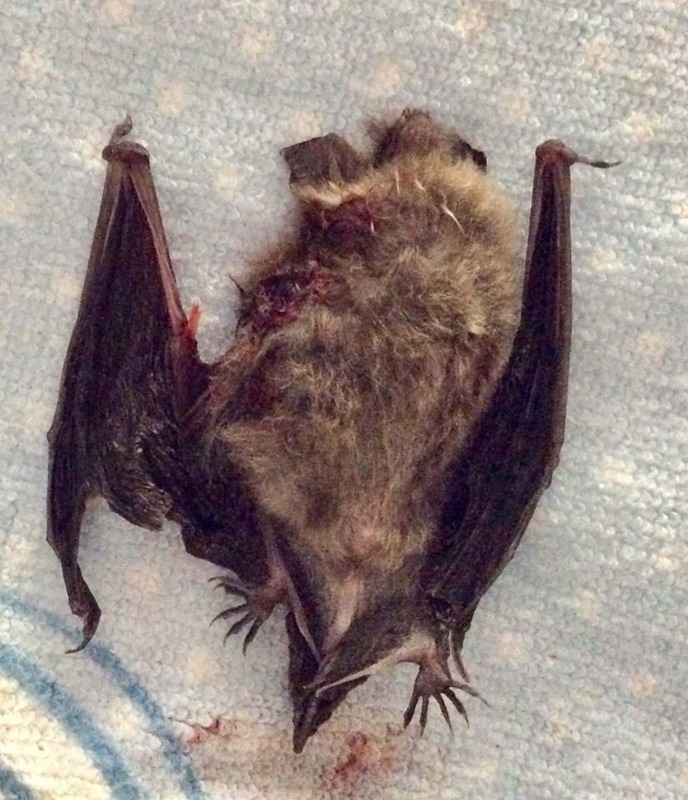 Self-declared 'batty' conservationist Gail Armstrong shared an emotional post on Facebook about how she was forced to kill an injured bat that had been savaged by a feline. 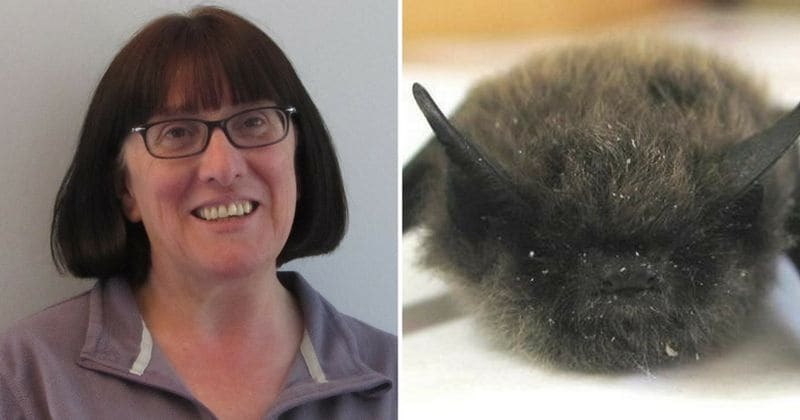 Gail was left heartbroken when she had to perform a 'mercy killing' on the severely injured but rare Brandt's bat - and the outspoken animal lover blamed the pet owner. In her online rant, Gail claimed the cat owner was a 'serial offender' whose cat has 'done it before and will likely do it again but cannot be kept in at night as he “wouldn’t like it”'. The post, which included a grisly photo of the mangled bat, was quickly shared and liked almost 2,000 times - prompting a row to erupt as cat lovers clashed with conservationists. Some called for a 'cat curfew' to stop them being out at night when bats are about. Others branded cats 'invasive outdoor pests' and called for them to be KILLED or the owners PROSECUTED or fined if their pets attack wildlife. In her online rant, Gail, who was bitten by a rabid bat in 2002 and had to take antibiotics, said: "Today I drove 26 miles to kill a bat. A rare and beautiful female Brandt’s bat severely injured by a cat last night. A serial offender, the cat has done it before and will likely do it again but cannot be kept in at night as he 'wouldn’t like it'. The photo is graphic as were her injuries. Shoulder stripped of skin & flesh. Deep puncture wounds to body." She went on to say: "Cats are not natural predators on our native wildlife which is already under pressure everywhere on this crowded little island. So because you want a cat but don’t want it to live indoors, I killed another beautiful bat today. And it’s just not fair." 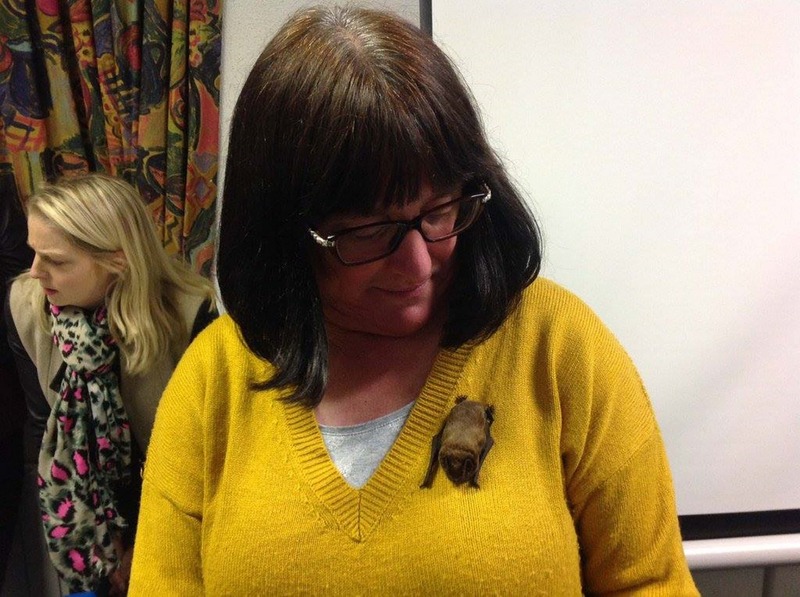 Fellow bat carer and ecologist Samantha Pickering from North Devon Bat Care claimed that while it was a contentious issue among cat owners, something had to be done. She suggested cat curfews at night, particularly around dawn and dusk to protect wildlife emerging from their nests or 'cat bibs' that get in the way if the cat hopes to attack. Samantha, 38, said: "We have had a very, very bad year for bats being killed by cats - right across the country. Probably about 80% of bats coming in have been injured in some shape or form by cats. It's a phenomenal amount. One cat can demolish a bat roost within a week. In other countries where cats have caused lots of problems for other wildlife, cats have to wear cat bibs and can't be allowed to just roam, they must stay on the property." "With bibs on, they cats can just do all the usual things they do but they can't attack things. It's nothing draconian like de-clawing a cat, which is not something that anyone should do - that's just barbaric. But there are lots of other options available. But it's always going to be a contentious area. People say it's not their cat, or their cat has rescued the bat and saved it - you hear all sorts of things. People saying they can't keep their cat in because it doesn't like it. A lot of wildlife would be much better if cats could be kept in at night, especially around dusk and dawn as that's a key time when wildlife emerge and are in danger." she added. Many rallied behind Gail and called for cat owners to be responsible for their pets' actions if they choose to let them out. Paul Mason wrote: "I agree with the cat curfew idea, cats out between six in the evening and six in the morning should be shot, cat owners then would learn to keep them in!" Morgan Gotti added: "Kill the cat too. I love my INDOOR cat but have no pity on the outdoor invasive pests that have Ignorant careless owners too lazy to clean a litter box." Chris Noonan said: "Cats are environmental terrorists. Why keep a wildlife killer..?" Leanne Adshead said: "Cats should be treated as dogs are. Kept indoors and walked on a leash." Rosemary Nelson wrote: "They are perfectly happy kept inside. Anyone who lets their cat out should be charged with a crime." However many were quick to point out that trying to keep cats indoors was not only fraught with logistical problems but also could be cruel on the moggies themselves. Louise Kay Stewart wrote: "As horrible as it is and I feel for the bat my cats come and go as they please. Cats are not meant to be kept indoors. Unfortunately, it is their natural instinct to hunt and one of my cats especially would go insane if kept inside." Sue Gray said: "Cats have as much right to live on this planet as any other species! You can’t and it would be cruel to keep a cat shut up indoors!" Stacey Barrington said: "In my opinion, it’s cruel to keep cats indoors (unless they don’t want to go out, of course). They can become extremely stressed if they’re confined, they have natural instincts which cannot be curbed. In response the developing row that her post sparked, Gail said: "The rights and wrongs of cat ownership still don't change the facts. People wanted a cat that can roam free and the consequence of that is I am a bat killer. And that feels crappy." 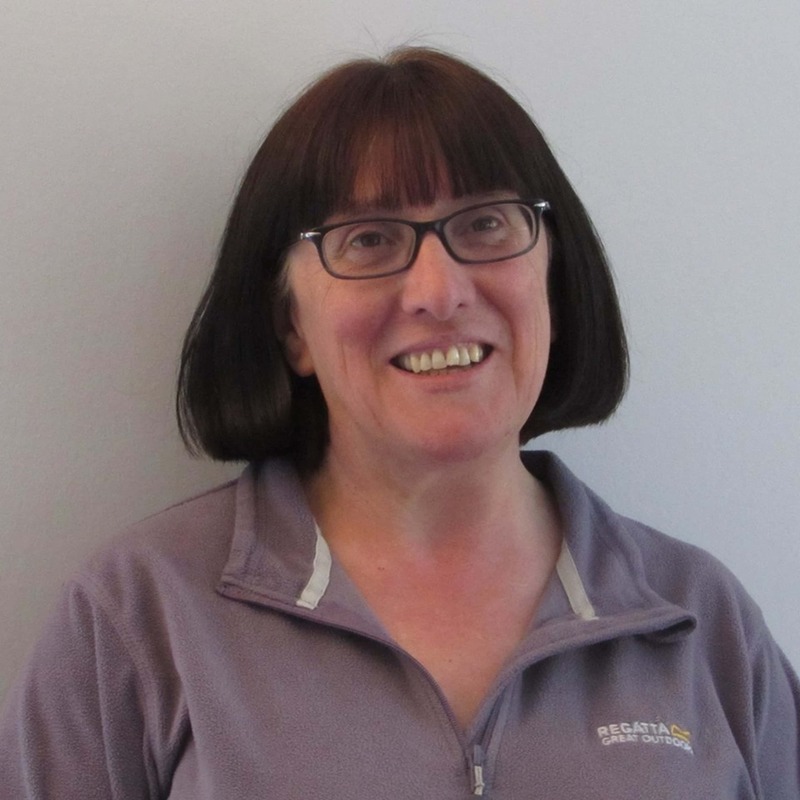 Sarah Elliott, Cats Protection’s central veterinary officer, said: “While we were sad to hear about this bat, it’s important to remember that cats have so far not been found to be the primary cause of decline in numbers of any species of conservation concern in the UK. Many other factors have been cited in research studies over the years - including mismanagement and loss of traditional wildlife habitat, global warming and climate change, decline in native flora and the increased use of pesticides and fertilizers in modern farming practices." Advice to pet owners from Cats Protection's website included: "Ideally all cats would be allowed access to outdoors to express their natural behavior and in the UK, the majority of people let their cats go outside. Cats have a natural tendency to explore so allowing them access to the outside world gives them mental stimulation and reduces stress. If they are kept solely indoors, some additional considerations for their home are recommended. Cats with outdoor access are able to exercise more readily, either through hunting, climbing trees and fences or simply by having the extra space to utilize."